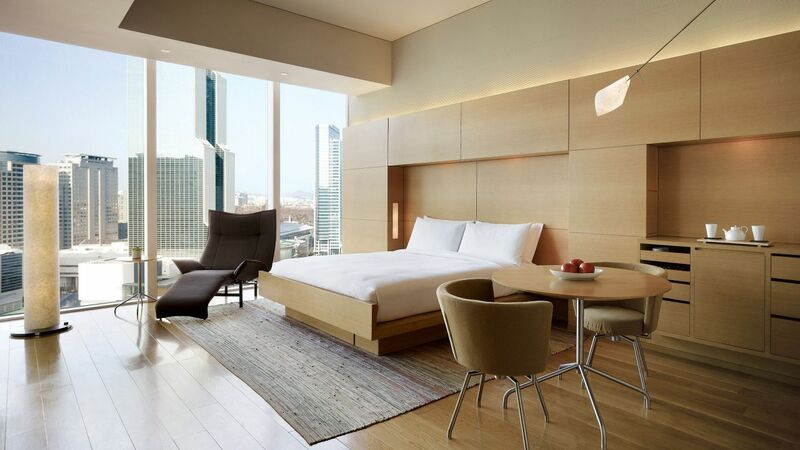 Located in Gangnam, the business hub of Korea, Park Hyatt Seoul boasts 185 modern and luxurious guestrooms including one Presidential Suite, two Diplomatic Suites and 35 Park Suites. Our guestrooms and suites feature artistic décor, contemporary style furnishings, and deluxe amenities, offering a haven of relaxation for guests who are intrigued by the dynamic city view through the floor-to-ceiling windows. Sleek designed bathrooms appointed with spa-inspired rain showers, spacious bathtubs, and Aesop amenities will make your stay extraordinary. Revel in the ultimate luxury of our Presidential Suite boasting 160 square meters of space juxtaposed with the stunning city views. 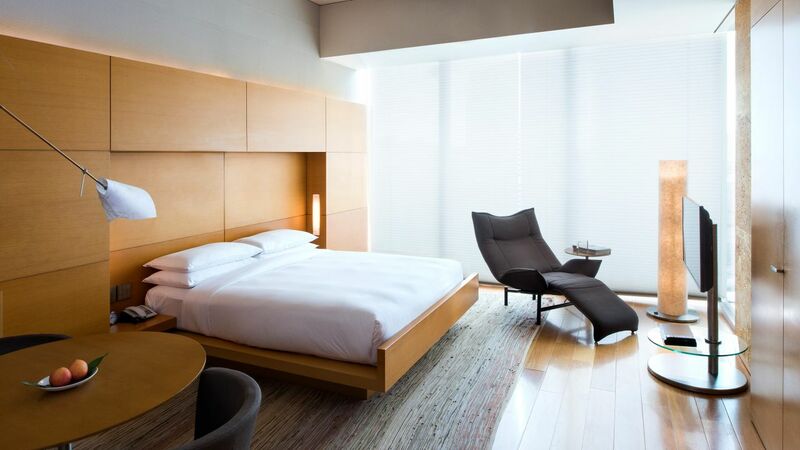 The suite offers Korean traditional and contemporary inspired furnishings and fittings including a lavish king bed, a recliner and a spa-inspired sleek bathroom. 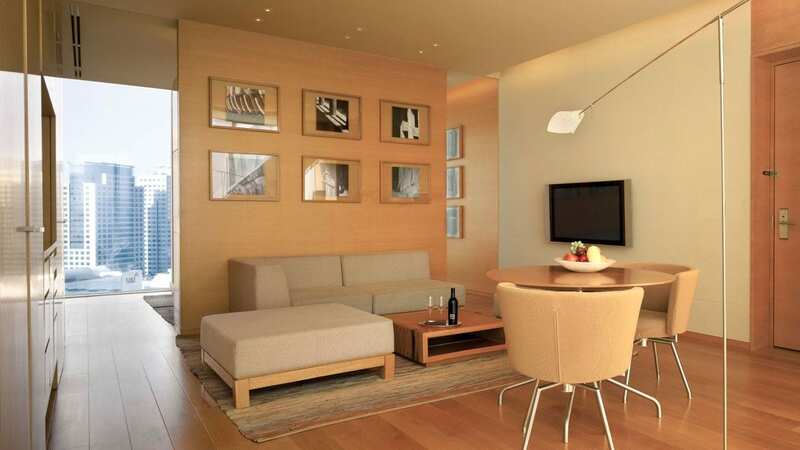 A spacious living room decorated with Korean traditional patterns and antique furniture features a kitchen, dressing room, mini bar and a guest bathroom. This is a premium suite. See World of Hyatt program terms for upgrade eligibility. To check availability and make a reservation for this room, please contact us at +82 2 2016 1234 or email seoul.park@hyatt.com. 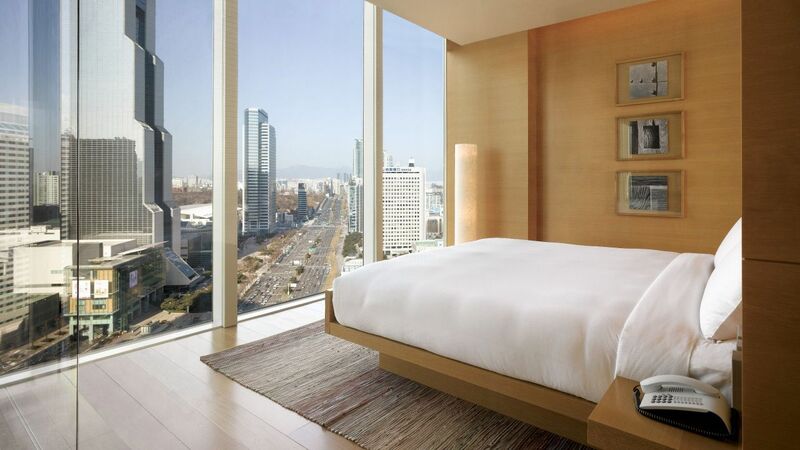 Gaze at the stunning views of the city through wall-to-wall windows. This Diplomatic Suite is lavishly appointed with 112 square meters, a luxurious design and sleek furnishings which are ideal for business and leisure travelers. This suite features a spacious bedroom, inclusive of one king bed and a granite bathroom and a separate sitting area composed of a cozy sofa, fireplace, mini kitchen, and a large dining table. This is a premium suite. See World of Hyatt program terms for upgrade eligibility. To check availability and make a reservation for this room, please contact us at +82 2 2016 1234 or email seoul.park@hyatt.com. Indulge in this spacious suite that offers 64 – 70 square meters of space, furnished with a king bed and a recliner plus a separate living room area offering a sofa and dining table. Unwind with a soothing rainfall shower and a deep soaking bath in the spacious bathroom. This is a standard suite. See World of Hyatt program terms for upgrade eligibility. This lavish suite offers between 64-70 square meters, comprised of two single beds, and a separating sitting area including a dining table and a plush sofa. The sophisticated bathroom features a rainfall shower and a deep soaking bath. This is a standard suite. See World of Hyatt program terms for upgrade eligibility. 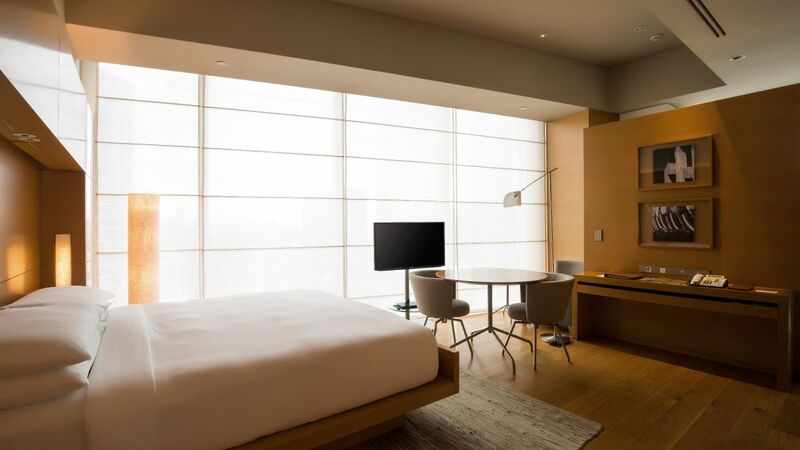 Lounge on a recliner in one of our spacious 52 square meter rooms next to the large floor-to-ceiling windows overlooking the dynamic city skyline of Seoul. Let yourself unwind in one of our contemporary furnished rooms featuring a king bed, dining table for two, and a striking bathroom including a rainfall shower and a deep soaking bath. This room ranges up to 52 square meters, offering a peaceful retreat with two single beds, a dining table for two, and a recliner. Settle into a room with ample natural light coming through floor-to-ceiling windows and a sleek bathroom design with a rain shower and a deep soaking bath. Our spacious and chic 42-square-meter guestroom offers a king bed, dining table for two and a deep-soaking bath plus rain shower. Relax in an abundant natural light flooded room with the floor-to-ceiling windows overlooking the hustle and bustle of the city below. 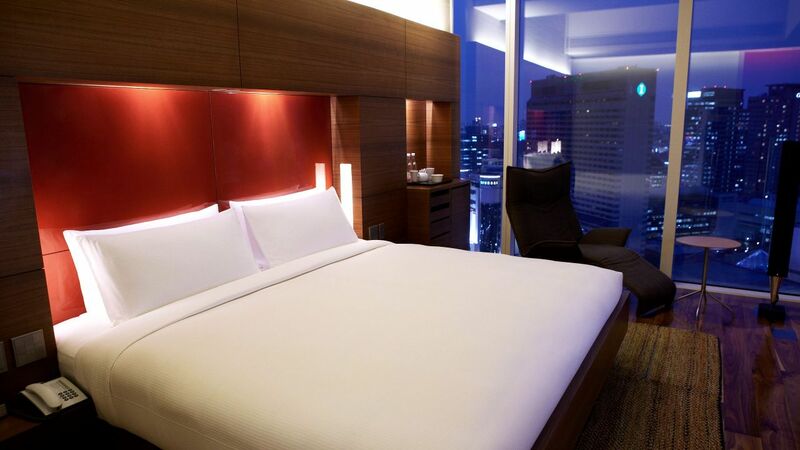 Surround yourself in true luxury in this City View Deluxe room with space ranging up to 52 square meters. 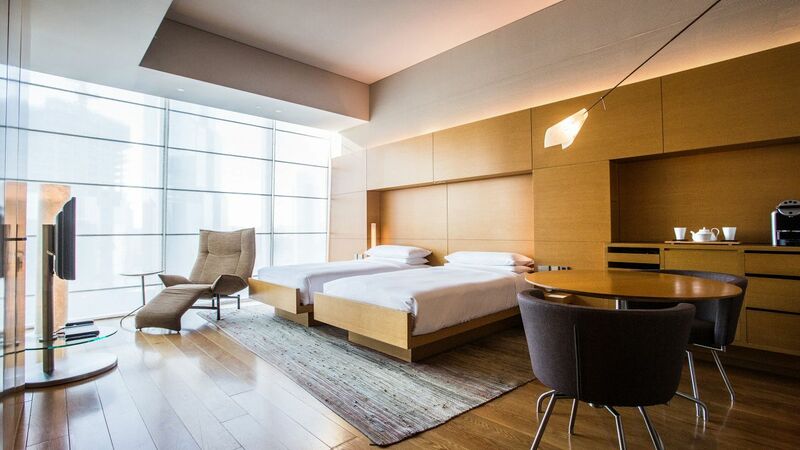 With a king size bed and a recliner by the large floor-to-ceiling windows, enjoy the breathtaking city views. Contemporary furnishings including a dining table for two and a spacious bathroom with a rainfall shower and a deep soaking bath will make you feel right at home.